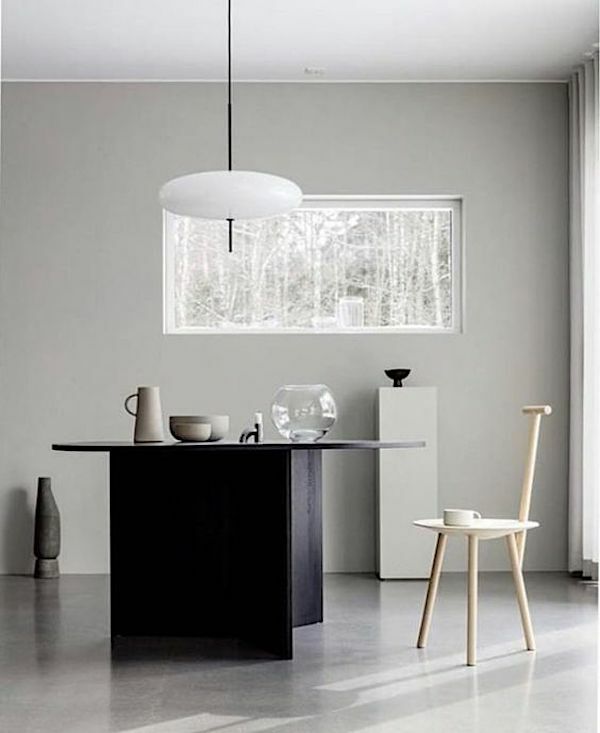 Large ceiling lights are growing on me, for the moment I am perfectly happy with the string of Christmas lights around the metal rod above my kitchen table but once I finished my new kitchen design in a few months hopefully, I will definitely choose a new light. Recently I came a few times across the model in the picture above made by mk design studio. I think it is a real eye catcher. Glass light fixtures in general are still winning on popularity and I have seen many new brands and established brands expanding their collecting with opal or smoked glass light fixtures over the last few years. 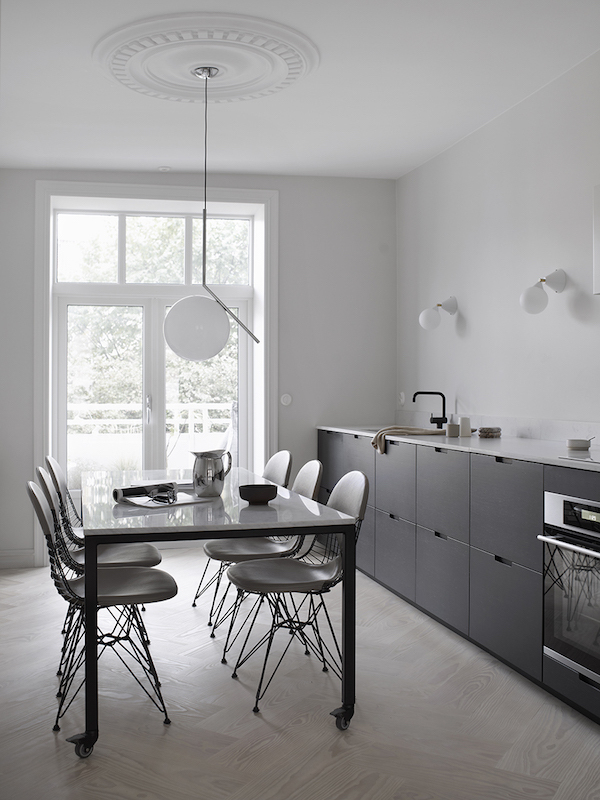 An all time favourite brand of mine for years is Flos and being aware I should use more round shapes at home a real good option would also be the IC Light suspension, here pictured in the kitchen of Elisabeth Heijer, many of these beautiful lights though look way better in homes with high ceilings like heres, something I need to keep in mind when making looking into lamps as a fifty centimeters can make a big difference, anyway one can keep dreaming right and I am also showing this as it might inspire you! I love a bit of drama at home and a dream brand of mine is definitely Apparatus, Cloud is one of the most amazing lamps I know, I would need some serious saving up though for it like with most exclusive design. 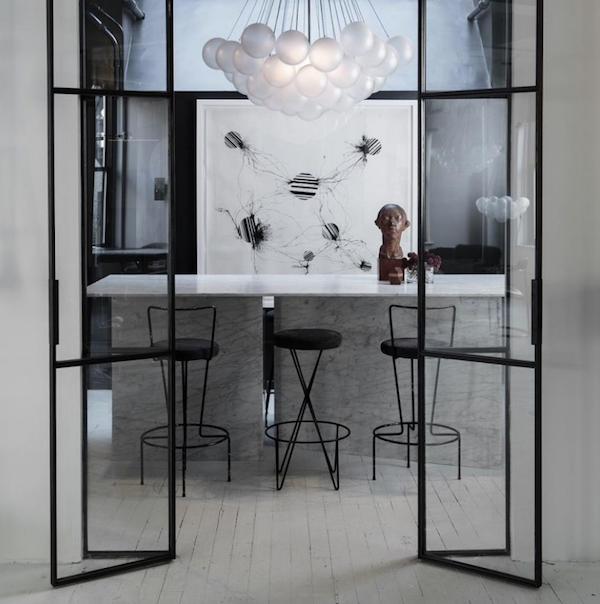 I visited their store in Milan last year, have a look here if you would like to see more of the Apparatus studio in Milan.